It’s our awareness that other people’s points of view are also valuable which keeps us from the an ego trip that our way is the only (or at least best) way. What tricks have you found to keep your ego out of your own way? 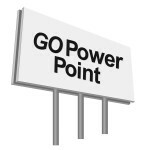 Take the balanced Ego quiz: 1) Do you listen as much in a conversation as you share? 2) Can you keep your emotions out of the conversation and truly listen to yourself and others? 3) Do you arrange for win-win situations in your interactions? If you can answer yes to all of these questions, you are in the Ego-less, the more balanced Ego pattern. E Out of Ego Daily Insight – Is one Ego smart? We recently visited a High School and saw a valuable sign just at the entrance to the soccer field. It read: “Leave your Ego here.” Sportsmanship and leadership works much better without the Ego muscling around. E Out of EGO Daily Insight – There is nothing stopping me! Wow! Every day when we check our path for emotional roadblocks, we keep the way clear for success. The power to change comes quickly in a tough spot. Why not look for a change to improve in ourselves every day and do it before we are forced? It’s so much easier and requires about 90% less pain and pressure! Everything we encounter can be viewed as a roadblock by our ego or a challenge and opportunity for success. Once we have overcome a roadblock, it is easier to see how it actually strengthened us. Even though it is not always easy to step outside of our shoes and look at ourself, it shows a good self esteem. If we can look at ourself and be fair, that is a healthy ego. One way to do that is try someone else’s shoes! E Out of EGO Daily Insight – Letting go of the Ego and GO! Sometimes letting go can be so easy as letting go of the need for recognition. Often as soon as we let go, and stop looking around for praise, someone will come back and notice the good we did. 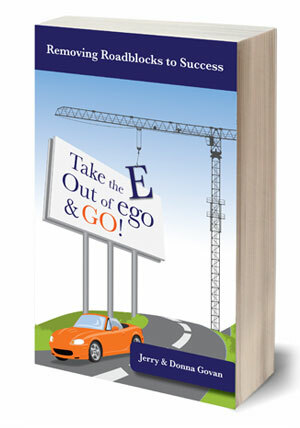 But until we let go of the need to get noticed, we are stuck, hooked on the “E” of our ego. If you want more energy, lift your right hand and put it on your left shoulder; now move up and down twice. There. You just supported your healthy ego! Now GO!